Presiding over Downtown Kirkland this luxurious urban home has it all. 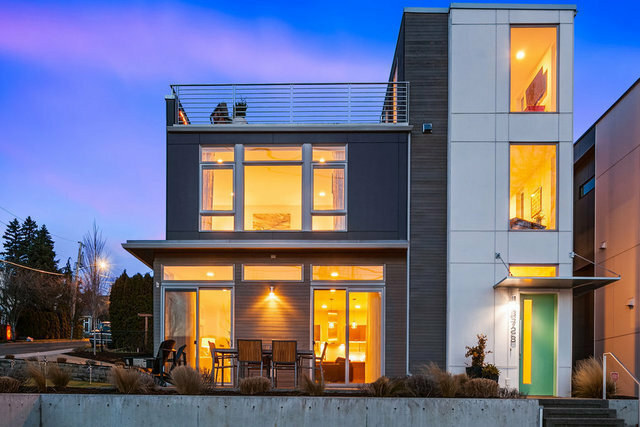 This built green home features 4 Bedroom/3 Bath with classic but modern finishes incl radiant heat flooring, minisplits, floating stairs, chic fixtures and elegant flooring. Elevated features include Thermador appliances, rooftop deck, lake views and gorgeous putting green. Corner lot in Kirkland Highlands neighborhood. Across from trail and steps to Downtown Kirkland. Award winning Lake Washington schools. Great spot to entertain and live your best PNW summer!